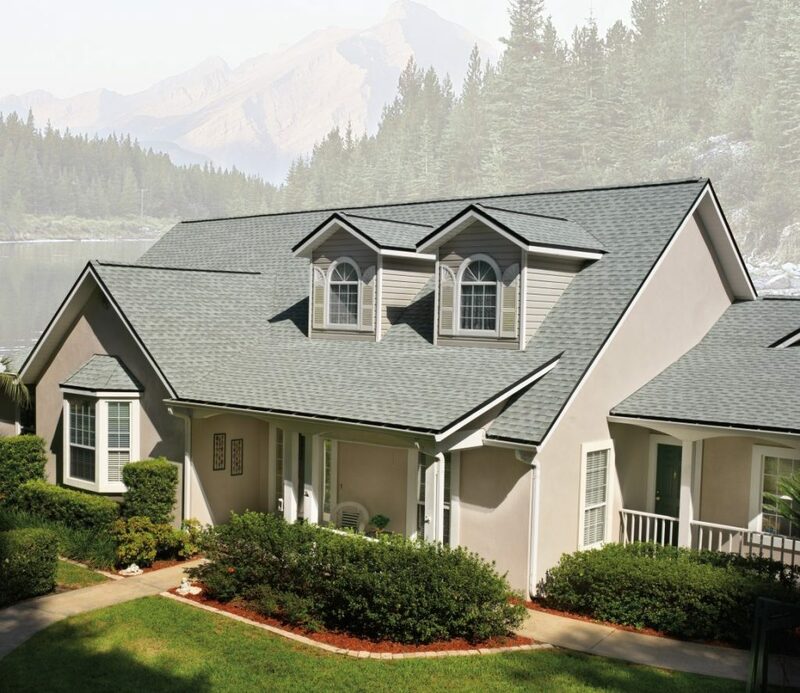 Interior Alaska Roofing is proud to be Alaska’s first and the Interior’s ONLY GAF Certified Master Elite Installer of their most popular shingles, The Timberline HD and Grand Sequoia. We are the Interior’s PREMIER residential roofer! Choosing a GAF Master Elite® contractor is your assurance that you’ll be dealing with a quality, reputable, and dependable professional contractor. 50 – year Manufacturer Warranty! 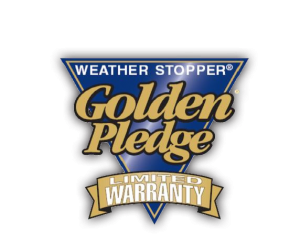 As a GAF Master Elite® contractor, we are the only company in the Interior that can offer GAF’s Golden Pledge Warranty with a 25-year workmanship and 50-year manufacturers’ defect coverage! Why settle for anything less? “This company is top notch! On time, courteous and professional. My roof looks amazing! Thank you!”~Sherri W.
Interior Alaska Roofing, Inc. considers the well-being and safety of its employees and those they work with to be one of our top priorities. Through our extensive Safety Program we have worked hundreds of hours and been able to maintain a low experience modification, and have experienced minimal lost time injuries. 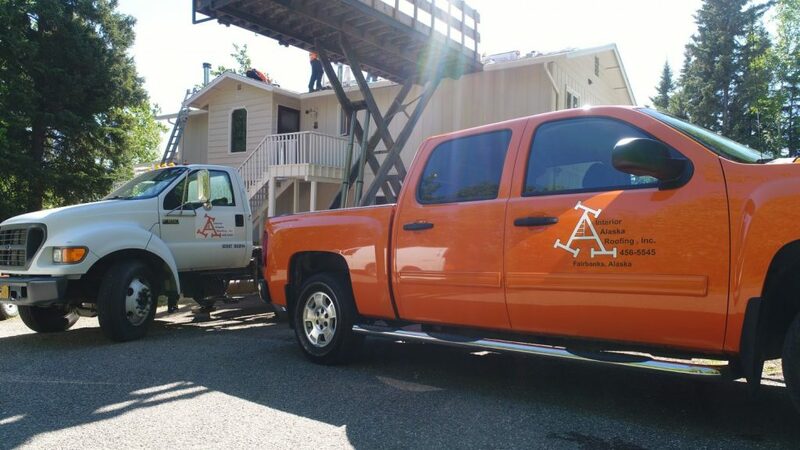 Interior Alaska Roofing, Inc. always extends an open invitation to OSHA to visit any one of our job sites, and in fact welcomes any advice or constructive pointers on safety issues that may have been overlooked. Between April 2000 and April 2007 OSHA has visited Interior Alaska Roofing, Inc. 54 times and has issued only a single minor violation involving an incorrect securement pin on one of the many fire extinguishers we keep on hand at every job site and in each truck. Our Safety Program stresses to each employee the importance of safety awareness and through this Safety Program each and every employee knows the importance of a safe work environment. Our Safety Program points out that in order to maintain a safe work environment each individual working in that environment must work together in a team effort to keep it safe. 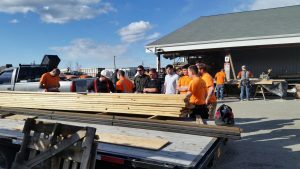 We have over 25 years of experience with a dedicated office staff, a professional and efficient estimating and project management team, experienced foreman and several crews of skilled and knowledgeable journeyman roofers and laborers. A training camp is held at the beginning of every season to make sure our team is freshly equipped with top of the line training and certifications to do their job in excellence. We operate a growing fleet of over 45 vehicles including: pick-up trucks, lift trucks, flat beds, dump trucks, a boom truck and job site trailers. We also have 7 forklifts, a full metal shop, as well as all the tools and equipment necessary to complete a smooth and worry free project.